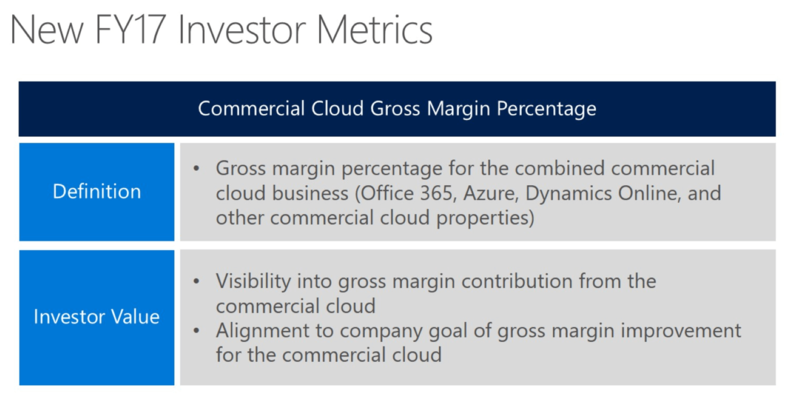 tl;dr: Microsoft’s cloud business continues to grow. We’ll examine the pace of that growth, and compare it to other recent figures. All that and margins. To paraphrase In Flames, perhaps we are all cloud connected. Microsoft reported its fiscal first quarter results today, giving us a fresh look into its cloud business. 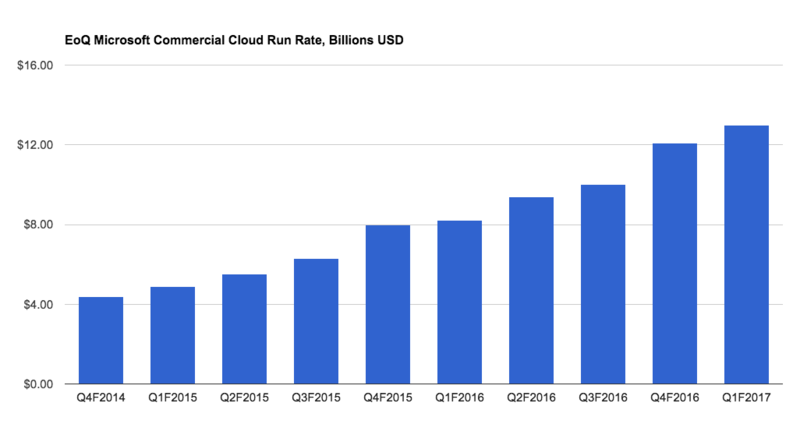 The company indicated in its release that its Commercial Cloud group of products reached a $13.0 billion run rate in the quarter, up from $12.1 billion in the sequentially preceding quarter. The company’s full report included adjusted revenue of $22.3 billion and adjusted earnings per share of $0.76. The market had expected $21.71 billion in adjusted top line and $0.68 in adjusted per-share profit. How does that $13 billion run rate figure measure up to expectations? Let’s take look up. 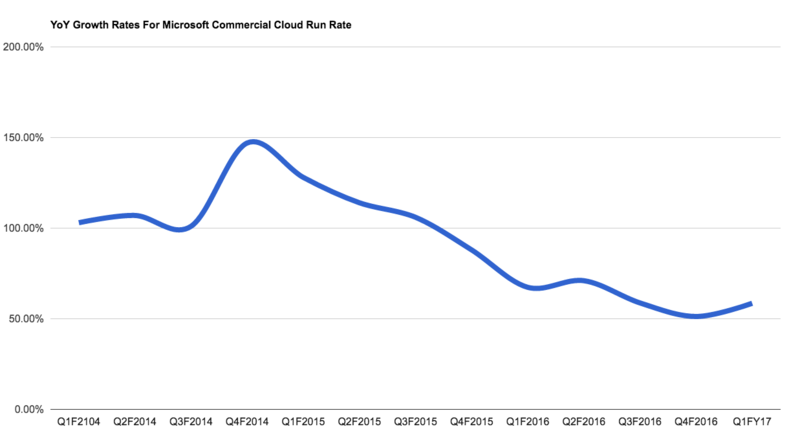 While Microsoft has backed off of its Windows 10 device pledge, its Commercial Cloud run rate promise of $20 billion by the end of its fiscal 2018, or the middle of calendar 2018 for the rest of us, is still achievable. That gives the company 7 quarters to make the remaining $7 billion gap. I presume you can divide out the quarterly mix required to reach that minimum. As you will note, the quarter’s $900 million increase is less than $1 billion, meaning that if Microsoft matched the dollar rate of its expansion through its fiscal 2018, it would fall short. However, presuming that the company can better support its percentage growth rates, the situation is not so dire. 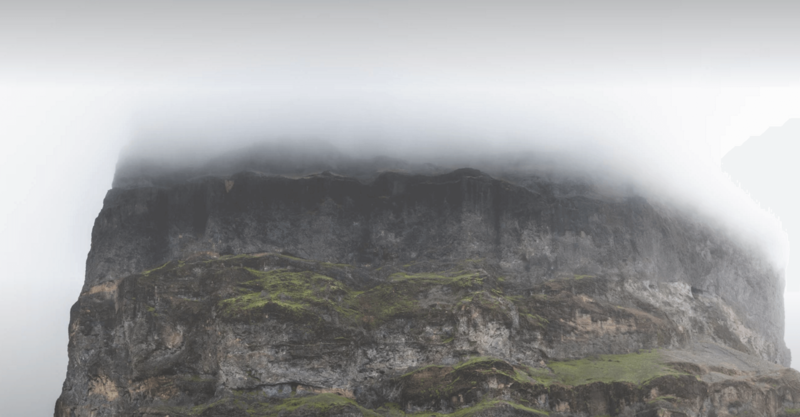 The law of large numbers is cruel, but that little kick at the end could matter. If Microsoft can sustain that results bump, unlike with prior reprieves like the one visible in earlier fiscal 2016, it can easily hit its $20 billion goal. However, if the company even kept the percentage number flat, the rising extant revenue would more than push the company over the $20 billion mark as well. In other words, things seem fine for the company’s Commercial Cloud products. Quickly, Microsoft dropped a new reporting segment today that is worth bringing up. It seems the percentage increase in margin result is a sequential-quarter result, implying that the company had a materially weaker result in the preceding period. And Microsoft will also cross the 50 percent mark in the current quarter. The combination puts Microsoft in a great position, at least from a PR perspective. Why? The company now gets to enjoy the improvement plaudits for beating its prior quarter that it didn’t disclose. Microsoft then gets to follow that up by pushing its gross margin percentage over the 50 percent mark in the following quarter, leading to more investor applause.